At Talent Dental, we believe the smile should be as beautiful as it can. Matta Botrous, DDS, offers a full suite of cosmetic dental treatments in Rancho Cucamonga, ensuring your teeth look brilliant for a lifetime. Whether you have a cavity that needs filling or teeth with imperfections, our dentist has both the skill and materials to support a renewed smile. Throughout every treatment, our friendly team secures your comfort for a positive experience. Visit Talent Dental to keep your smile bright through our dental care services. We know every patient has unique challenges they face when it comes to their smile, whether its congenital issues or those that have developed over time. Regular wear and even your diet affect how your teeth look, contributing to dental imperfections such as gaps, teeth stains, crowding, chips, and cracks. We offer potential solutions to these issues by creating a comprehensive treatment plan to address them accordingly. 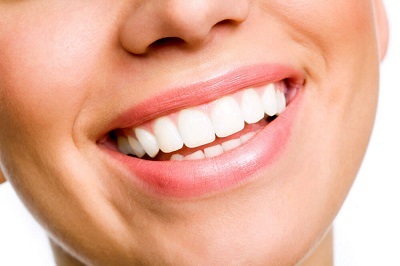 Our first step, however, is to restore oral health, then focus on the cosmetic issues. Veneers and Lumineers®: These porcelain shells cover imperfections and create a uniform appearance. Stain-resistant and long-lasting, veneers are permanently attached to prepared teeth, addressing many issues at once. Lumineers are a prep-less version of veneers, covering less extensive cosmetic problems. Teeth Whitening: Talent Dental proudly uses Opalescence® Teeth Whitening to lift stains from the convenience of your home. This gives you full control over the level of shading, including re-touching teeth when you notice new stains. Crowns and Bridges: These restorative options are made with natural details in mind. Porcelain crowns and bridges have a polished sheen just as teeth do, and offer reliable strength for long-term use. Crowns are used to cover up teeth that have undergone root canal therapy, while bridges replace one or more missing teeth, using healthy ones as anchors. We can combine these treatments with dental implant treatment to resolve extensive care needs. Dr. Botrous offers implant placement and restoration as part of your custom treatment plan, addressing multiple concerns and creating a newly-beautiful smile. Our dentist recommends the best services available to our patients based on their budget and goals. To make these excellent procedures more affordable, we accept PPO, HMO, and MediCal insurances, as well as financing through Lending Club, CareCredit, and Enhance Patient Financing. Dr. Matta Botrous combines skilled dental care with both his eye for artistry and a gentle approach. He has practiced dentistry for over 16 years in three different countries, honing his skills with countless hours of additional training in-between. He understands exactly what patients need when they have specific concerns or issues, and tailors his skillset to achieve a healthy and beautiful smile. Contact Talent Dental in the Haven Town Center Today! Dr. Botrous and our dental staff are passionate about transforming the smile, as this process can revitalize self-confidence and change a patient’s perspective on daily life. From consultation to treatment, you can rely on our practice for care.